Warner Bros will release Christopher Nolan’s Inception on Blu-ray Disc Dec. 7, 2010. The film which grossed more than 800 million worldwide stars Leonardo DiCaprio, Tom Berenger, Ellen Page and Michael Caine. The hi-def release will be a Blu-ray Disc/DVD Combo pack with Digital Copy of the film. Video resolution will be 1080p at 2.40:1 aspect ratio with DTS-HD Master Audio 5.1. Inception will also release On Demand via satellite and cable providers, and at rental kiosks early next year. 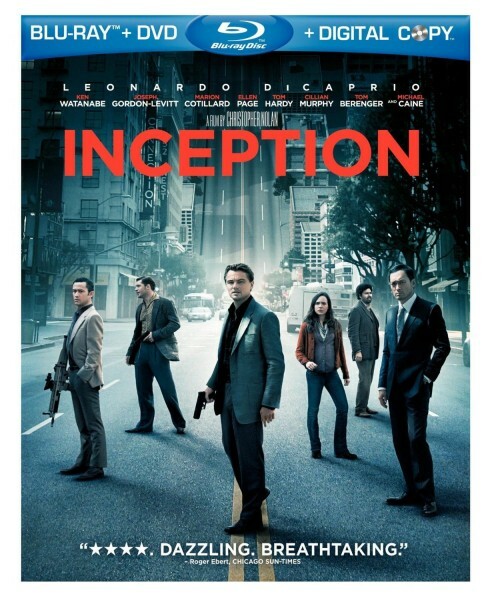 Suggested retail price of Inception on Blu-ray/DVD Combo + Digital Copy is $35.99. Now available to order for $17.99.